It has been COLD here in Chicago and there is no sign of that letting up this week. Wednesday is calling for a high of -13 F and that’s without the wind chill. Let’s just say I’ll be getting a lot of work done inside. One of my favorite things to do when working from home is to cozy up with a hot mug of tea, as you probably already know from reading last week’s post. It can’t just be any tea though — I’m only a black tea kinda gal. You? Anyway, I’ve been seeing more of these London Fog lattes popping up around town and wanted to try and recreate one at home. Your typical LFL (we are abbreviating now) contains Earl Grey tea, sugar, milk, and vanilla, but I tweaked a couple things for my recipe at home. I’m a huge fan of loose leaf teas over bagged ones, although I’m not one to be snobby when push comes to shove. I may be a little extra with our tea kettle, however, which Neil bought me as a present when our other one died from overuse. 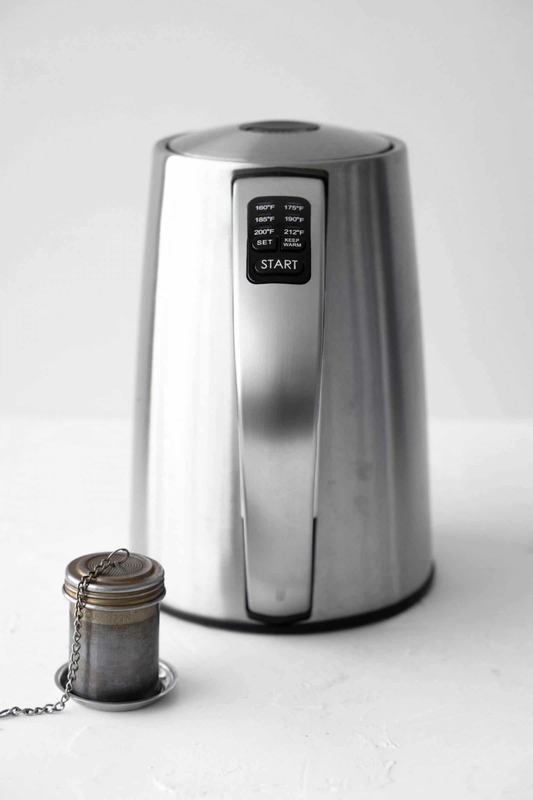 Different teas need to be brewed at different temperatures for optimal results, so you can choose which temperature you want from this kettle. I’m also obsessed with the loose leaf infusers that I have and use every day. I may have a tea problem. What makes this latte a little different is the addition of Vital Proteins vanilla collagen creamer. 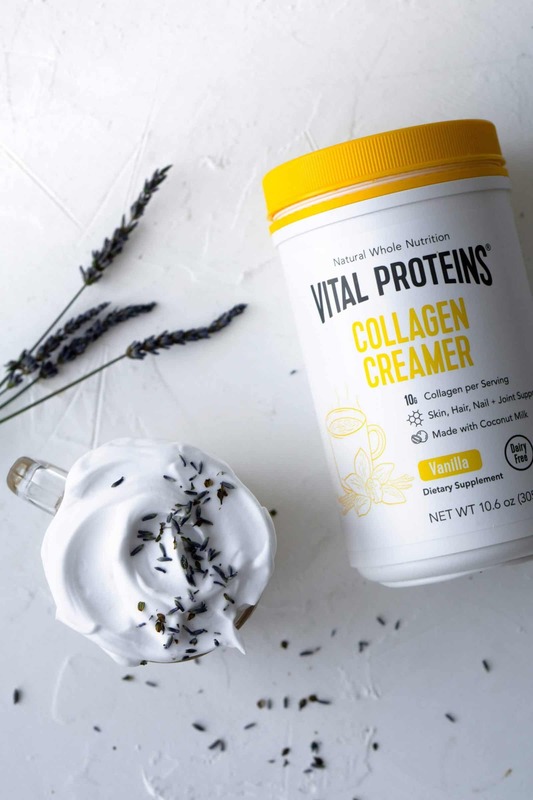 Instead of the vanilla typically used in this recipe, I opted for this creamer which also offers collagen protein as an additional benefit. It’s non-dairy and made with coconut milk, so if you use a milk alternative, the whole drink is dairy-free! 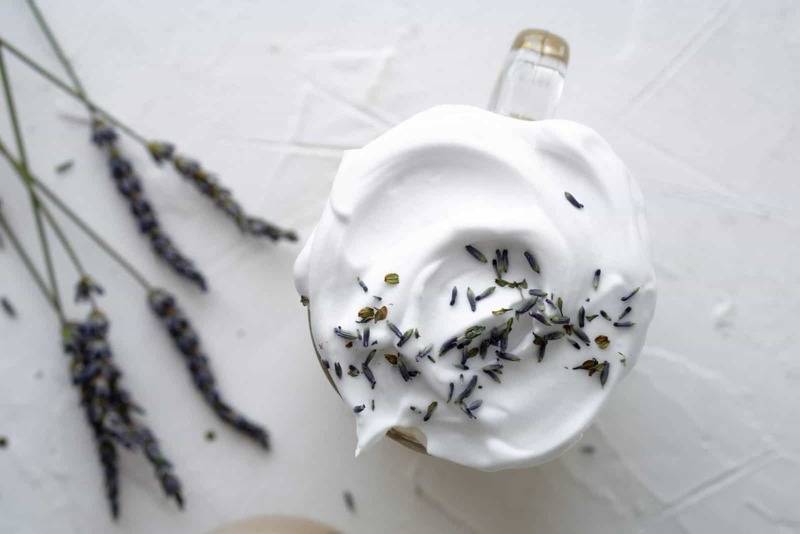 The lavender can be used as a garnish or steeped with the tea for an added flavor boost, but it’s up to you. 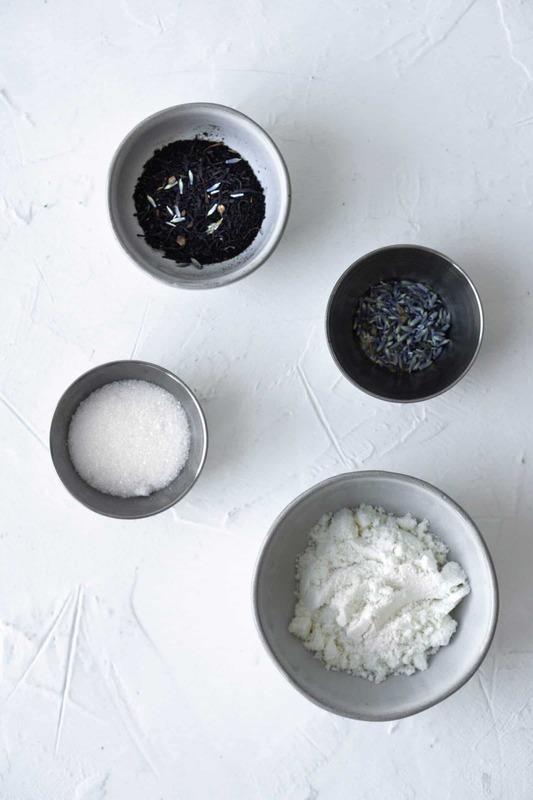 Whatever you choose, make sure that you use food-grade lavender and not the kind from the floral section. You can usually find this in the bulk spice section of stores like Whole Foods or at specialty spice shops. Now I don’t know about you, but I’m off to spend today with my laptop under a dog and a blanket. Stay warm friends! Brew tea for approximately 3-5 minutes, depending on strength desired. Add Vital Proteins to hot tea (should dissolve, but if you’re left with undissolved creamer, I find that mixing in the blender or using a milk frother (I have this one) helps to get the job done). Add sugar to taste. In a separate cup, heat milk and froth using a milk frother. 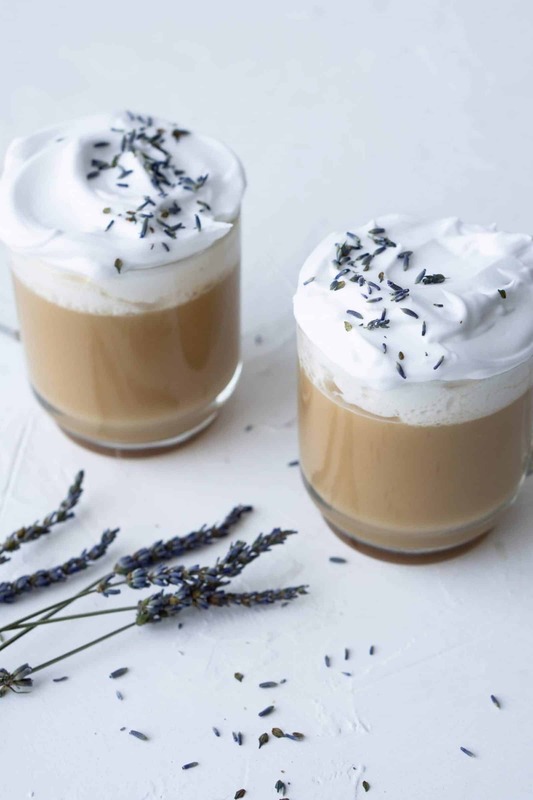 If you don’t have one, simply adding steamed milk will still make this drink delicious. Add the milk to the tea and ENJOY! I drank iced tea all summer! But since probably early September or late August, my drink has been water. I don’t really miss my coffee or tea. I thought I’d be craving both by now, but I’m good. 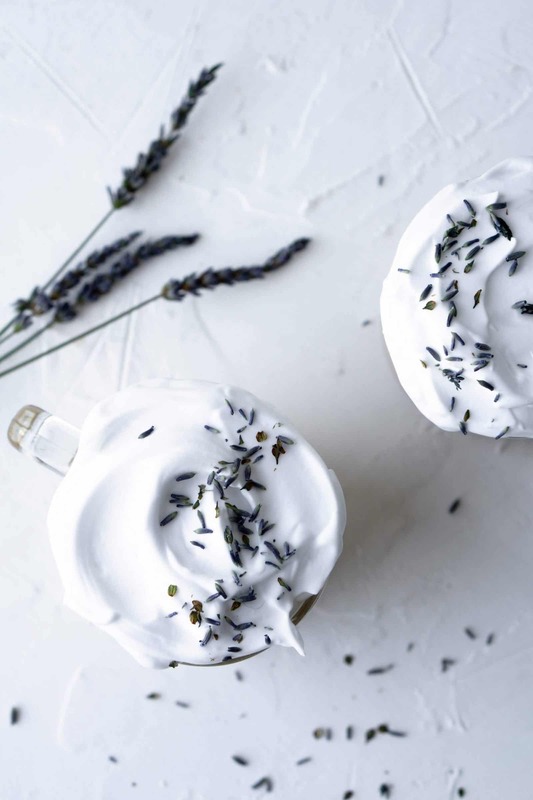 I must say I like the addition of lavender and the non- dairy cream, this tea is first on my list when my water phase is over. What type of tea kettle do you have? You must be in a trendy area. I have not seen these at all. Is this now a part of your tea repertoire? Prob not all the time bc I’m a quick basic black tea person most days, but it’s definitely nice if I have some extra time!